Whether you enjoy drinking fermented beverages or you think your friends are crazy for guzzling something that smells sort of like vinegar and dirt, you’re probably aware that kombucha tea is pretty popular these days. You also might know that the drinks contain a low level of alcohol, which means makers have to include a special note on their label indicating as much. Kombucha companies are now trying to convince the government to adopt new alcohol content tests, claiming that the current system spurs fines and enforcement actions from regulators needlessly. Kombucha fans have brought the drink into the mainstream in the last five years, with sales increasing almost five times between 2013 and 2015, reports the Associated Press, citing retail analysts at Markets and Markets. Because the fermentation process can give the drink too much alcohol for it to be legally sold to minors as a non-alcoholic beverage, it’s up to the U.S. Alcohol and Tobacco Tax and Trade Bureau to enforce laws that require labels on any products containing more than 0.5% alcohol. Recently, the bureau sent fine letters to an undisclosed number of kombucha makers nationwide, said a spokesman, without specifying how many products failed alcohol tests or how many companies were fined. “What we’re concerned about here is that when a consumer picks up a product, they know the product is alcoholic,” the spokesman said. But kombucha brewers don’t want the tea to be compared to alcoholic drinks, and are urging the agency to use a new alcohol test that’s specific to fermented drinks, instead of the commonly used test to determine alcohol by volume. That system doesn’t account for naturally occurring sediment in kombucha, say producers of the drinks. “We’re working on a more accurate test that will show people that kombucha is not an alcoholic beverage,” said Hannah Crum, head of the Los Angeles-based Kombucha Brewers International group, an industry advocate. While the ATTTB says it’s interested in such a test, in the meantime, it says it won’t stop issuing fines when it gets reports of products that exceed alcohol limits using the existing tests. Kombucha makers say that 0.5% threshold is too low to intoxicate people, arguing it’s the same level fruits could naturally reach by sitting on the shelf too long. 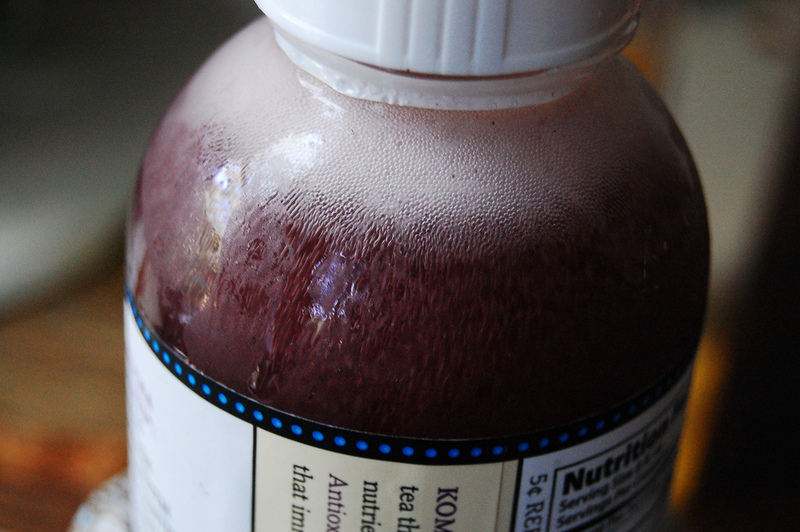 If it ages and isn’t refrigerated, a kombucha drink can creep up to 1% alcohol. Still, that’s not enough to regulate it like alcohol, argued Rep. Jared Polis of Colorado in a letter to the bureau last month asking it to take it easy on some fined kombucha makers. “Eight spoiled kombuchas are roughly the equivalent of one beer, but that doesn’t mean we should regulate it like we do alcohol — it makes absolutely no sense,” Polis wrote.